3.8.11 - The Future-ish trend analysts recently reported that the latest craze in progress chic is the very 'sciency' yet oh-so-vogue...vortex (though sometimes its called cyclone or spiral too). 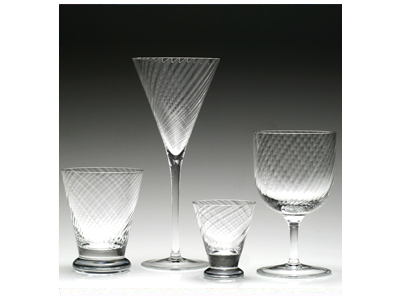 A great example is the Calypso bar set by William Yeoward Crystal. Ranging from $30-$120, the various vessels are great for one's own bar or as a gift.